We are happy to offer great financing plans with 6 months deferred payment and 3 months deferred payment plans. Your payment period begins at the time of your delivery. Contact us for more information. Don't forget to read the fine print. 6 months deferred is, no payment, no interest. $49 profee. 3 months deferred, no payment, no interest. No profee required. All of these plans require payment of taxes, delivery fee (if applicable) and a 40% deposit on special orders. 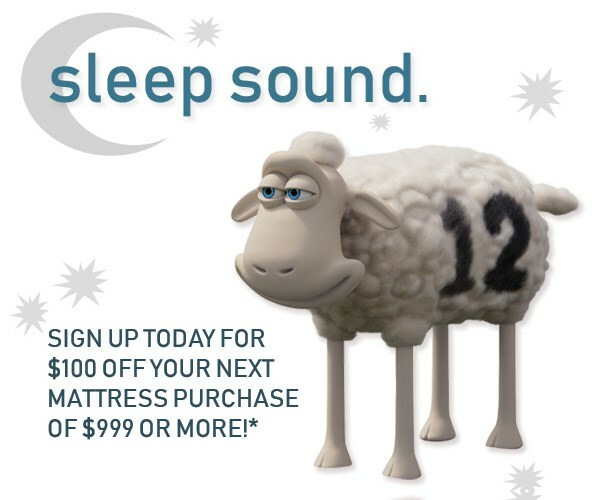 Stoney Creek Furniture offers great interest free financing options for mattresses. We offer both 12 months deferred for a purchase under $1,000 and 24 months equal payments for a purchase between $1,000 and $3,000 with no interest being due so long as you pay off your mattress in the time period you choose to go with. Your payment period begins at the time of your delivery. Contact us for more information. Don't forget to read the fine print. 6 Month Deferred – Subject to Fédération des caisses Desjardins du Québec (“the Federation”) approval. All annual interest rates indicated are subject to change. The “Deferred payment, no payments or interest for...” offer allows the customer to use a credit card issued by the Federation (“the Card”) to pay for a deferred payment purchase, without incurring interest during the period set at the time of purchase. If this purchase is not paid in full by the due date, an annual interest rate of not more than 19.9% applies and it is converted into equal and consecutive payments due in 6 monthly installments if the converted balance is less than $1,000; 12 monthly installments if the converted balance is equal to or greater than $1,000 and less than $3,000; or in 24 monthly installments if the converted balance is equal to or greater than $3,000. Annual interest rate on the card of not more than 19.9%. There is a 21-day, interest-free grace period on the card from the date the monthly statement is mailed or from the date it is made available in electronic format to settle the account without paying credit charges, except on cash advances and cheques. Minimum card payment is 5% of the total of: the balance shown on the account statement for the previous period; credit charges on purchases and monthly installments that have not been paid on the due date for the current period; regular purchases, cash advances and cheques during the statement period and credit charges on cash advances and cheques. To which are added: monthly instalment(s) for the statement period, deferred payment purchases due on the statement date, past due amounts, and any other amount set out in the card contract. Membership/renewal fees of $1 to $150 may apply depending on the card requested or used for the purchase. See details in stores. Information effective February 29, 2016. 3 Month Deferred – Subject to Fédération des caisses Desjardins du Québec (“the Federation”) approval. All annual interest rates indicated are subject to change. The “Deferred payment, no payments or interest for...” offer allows the customer to use a credit card issued by the Federation (“the Card”) to pay for a deferred payment purchase, without incurring interest during the period set at the time of purchase. If this purchase is not paid in full by the due date, an annual interest rate of not more than 19.9% applies and it is converted into equal and consecutive payments due in 6 monthly installments if the converted balance is less than $1,000; 12 monthly installments if the converted balance is equal to or greater than $1,000 and less than $3,000; or in 24 monthly installments if the converted balance is equal to or greater than $3,000. Annual interest rate on the card of not more than 19.9%. There is a 21-day, interest-free grace period on the card from the date the monthly statement is mailed or from the date it is made available in electronic format to settle the account without paying credit charges, except on cash advances and cheques. Minimum card payment is 5% of the total of: the balance shown on the account statement for the previous period; credit charges on purchases and monthly installments that have not been paid on the due date for the current period; regular purchases, cash advances and cheques during the statement period and credit charges on cash advances and cheques. To which are added: monthly instalment(s) for the statement period, deferred payment purchases due on the statement date, past due amounts, and any other amount set out in the card contract. Membership/renewal fees of $1 to $150 may apply depending on the card requested or used for the purchase. See details in stores. Information effective February 29, 2016. *Financing terms OAC. All taxes, $99 processing fee and delivery charges (if applicable) payable at time of purchase. Minimum purchase of $1499 (before taxes) required. 25% deposit required on custom orders. To avoid accrued interest, payment in full is due 1 year from delivery date for 12 month deferred option, or 24 months from delivery date for 24 equal payment option. See store for details. Not applicable to previous purchases. Not to be combined with any other offer. We strive for the utmost accuracy in all our advertising. For complete information on all our advertised events, full details can be found at our stores. 12 Month Deferred– Subject to Fédération des caisses Desjardins du Québec (“the Federation”) approval. All annual interest rates indicated are subject to change. The “Deferred payment, no payments or interest for...” offer allows the customer to use a credit card issued by the Federation (“the Card”) to pay for a deferred payment purchase, without incurring interest during the period set at the time of purchase. If this purchase is not paid in full by the due date, an annual interest rate of not more than 19.9% applies and it is converted into equal and consecutive payments due in 12 monthly installments if the converted balance is less than $1,000; 24 monthly installments if the converted balance is equal to or greater than $1,000 and less than $3,000; or in 36 monthly installments if the converted balance is equal to or greater than $3,000. Annual interest rate on the card of not more than 19.9%. There is a 21-day, interest-free grace period on the card from the date the monthly statement is mailed or from the date it is made available in electronic format to settle the account without paying credit charges, except on cash advances and cheques. Minimum card payment is 5% of the total of: the balance shown on the account statement for the previous period; credit charges on purchases and monthly installments that have not been paid on the due date for the current period; regular purchases, cash advances and cheques during the statement period and credit charges on cash advances and cheques. To which are added: monthly instalment(s) for the statement period, deferred payment purchases due on the statement date, past due amounts, and any other amount set out in the card contract. Membership/renewal fees of $1 to $150 may apply depending on the card requested or used for the purchase. See details in stores. Information effective February 29, 2016. 24 Month Equal with 0% Interest – Subject to Fédération des caisses Desjardins du Québec (“the Federation”) approval. All annual interest rates indicated are subject to change. The “Interest-free equal monthly payments” offer allows the customer to use a credit card issued by the Federation (“the Card”) to pay for purchases through equal and consecutive monthly instalments with no interest. Equal monthly payments are included in the minimum payment due on the credit card. If the minimum payment due is not paid in full by the due date, the annual interest rate of not more than 19.9% on the card applies to the unpaid equal monthly instalment. There is a 21-day, interest-free grace period on the card from the date the monthly statement is mailed or from the date it is made available in electronic format to settle the account without paying credit charges, except on cash advances and cheques. Minimum card payment is 5% of the total of: the balance shown on the account statement for the previous period; credit charges on purchases and monthly instalments that have not been paid on the due date for the current period; regular purchases, cash advances and cheques during the statement period and credit charges on cash advances and cheques. To which are added: monthly instalment(s) for the statement period, deferred payment purchases due on the statement date, past due amounts, and any other amount set out in the card contract. Membership/renewal fees of $1 to $150 may apply depending on the card requested or used for the purchase. See details in stores. Information effective February 29, 2016.